The nationwide house price index fell by 3.46% during the year to Q3 2018, in sharp contrast with the y-o-y rise of 5.73% in the previous year and the biggest annual drop since Q2 2012. Quarter-on-quarter, house prices dropped 0.11% during the latest quarter. Analysis: Demand and supply falling. Homes sold in one- to two-dwelling buildings fell by 5.2% y-o-y to 38,244 units during the first three quarters of 2018, after falling by 1.8% last year according to Statistics Sweden. Over the same period, dwelling starts in newly constructed buildings fell by 16% y-o-y to about 39,100 units. 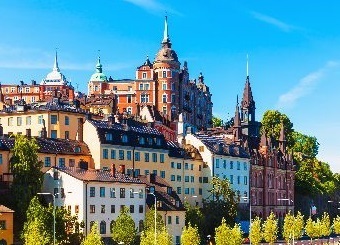 Recent news: The Swedish economy is projected to expand by 2.4% this year, from annual growth rates of 2.1% in 2017, 2.7% in 2016, 4.5% in 2015 and 2.6% in 2014, according to the European Commission.